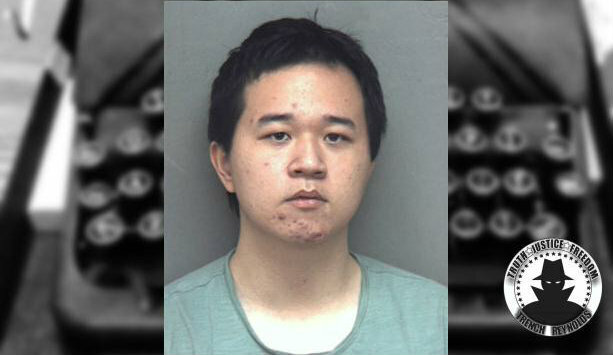 19-year-old Yunsong Zhao was the Virginia Tech student from China who was arrested back in January after allegedly trying to purchase 5,000 bullets for his AR-15. He was also supposedly researching how to obtain body armor and was in possession of a decommissioned police car that still had police markings on it. While in jail he considered himself a celebrity and expected a “victorious return to China.” His return to China may be more imminent than he thinks, but it may not exactly be victorious. Zhao was originally held on no bail, but after police determined the ammunition clip used for his gun was a legal 20 round magazine, his bond was lowered to $2500. However, after posting bond, he was immediately taken into custody by Immigration and Customs Enforcement (ICE) and will more than likely be facing deportation. As I’ve said before, while no evidence of any kind of plot has been discovered by police, I highly doubt he was planning on becoming his own one-man police force. While I don’t believe guns cause school shootings, you still can’t have the shooting part without the gun. It seems almost backwards that in Virginia you can purchase a high-capacity rifle at the age of 18 but can’t buy a handgun until you’re 21. Even though a 20-round magazine is considered legal, it’s obvious that such a capacity is designed for only one thing and it’s not hunting. If you need 20 rounds to bag a deer you need to work on your marksmanship. Since doing away with all guns in our country is a pipe dream, I would at least raise the age of gun ownership nationally to at least 25 and ban the sale of high-capacity magazines. I would also increase the penalties for people who don’t properly store or handle guns, you know, because of all the responsible gun owners out there.